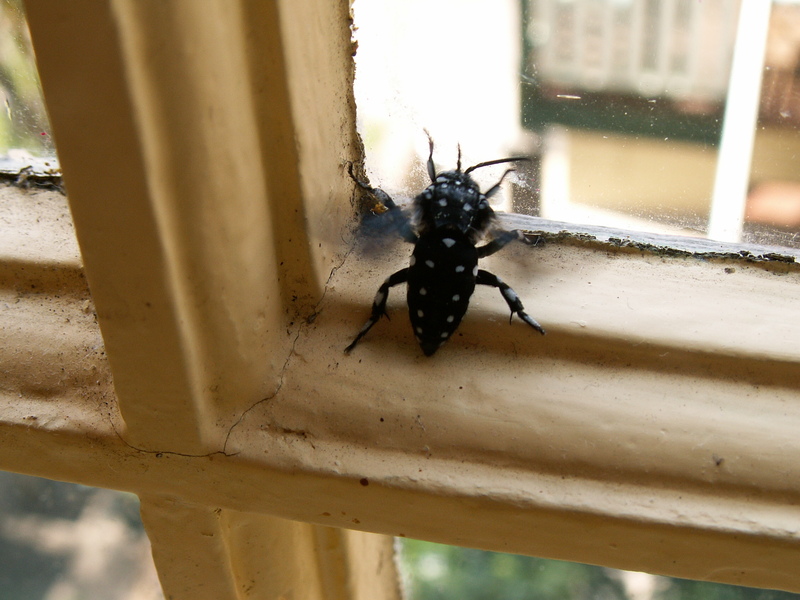 Last week I was in the living room when a loud, buzzing insect flew past me. I’d left a door open so I wasn’t too surprised. From the flash of blue I thought it might be a big blow-fly. 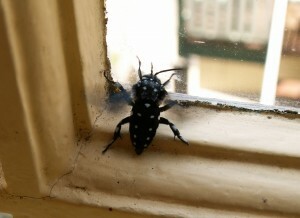 I followed it into the kitchen and was able to get a close view as it buzzed against the window. 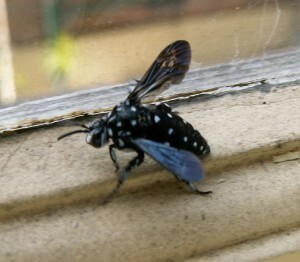 It was clearly no fly but looked more like a big, dark native bee and had distinctive blue spots on its abdomen. I took a few photos, to help with identification, and then opened the kitchen window to let him go on his way. The photos are not very good – he was keen to escape and not at all interested in posing nicely for me. But they are good enough for identification. It turns out he was a Cuckoo Bee. This entry was posted in Photography, Science on February 9, 2015 by Steven.